Last week, the five largest U.S. cellular carriers and leading smartphone makers announced a voluntary commitment to add new anti-theft tech to devices being released next year. Supporting companies include Apple, Google, HTC, Huawei, Microsoft, Motorola, Nokia and Samsung. 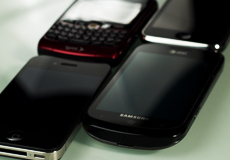 The commitment means that devices sold after July 2015 will have the ability to allow users to wipe data remotely, and prevent the device from being reactivated without permission from the owner. The measures will also allow for lost or stolen devices to be restored later if recovered by the original owner. Carriers promised to help facilitate these measures. Some device makers have already incorporated these features into their products. For example, Apple’s iOS 7 has a feature called Activation Lock that prevents a stolen or lost device from being reactivated, even if it is reset. “A number of state and local lawmakers praised the agreement, though it was panned as inadequate by California state Sen. Mark Leno, who has proposed a mandatory kill-switch law,” reports Re/code. In contrast, CTIA President Steve Largent praised the agreement, and said that it is a positive example of the smartphone industry working with consumer groups and regulators.